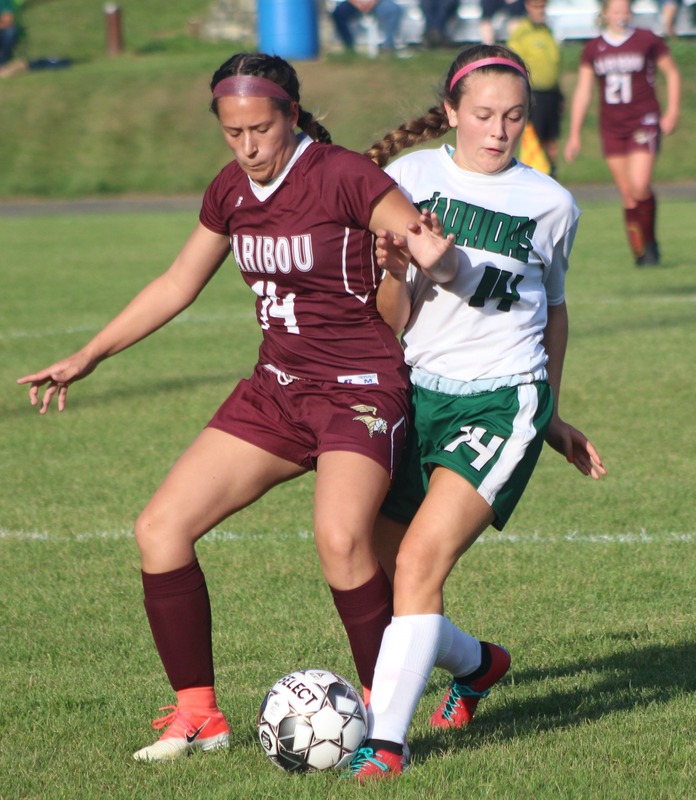 The Central Aroostook soccer teams kept their undefeated seasons going as each won two more games last week. The Panthers downed Madawaska and Easton in home matches and both squads moved to 8-0. The Houlton boys are 3-0-1 after topping Mattanawcook, Calais and Orono, while the girls took a 3-0 mark into Tuesday’s home match against Orono. 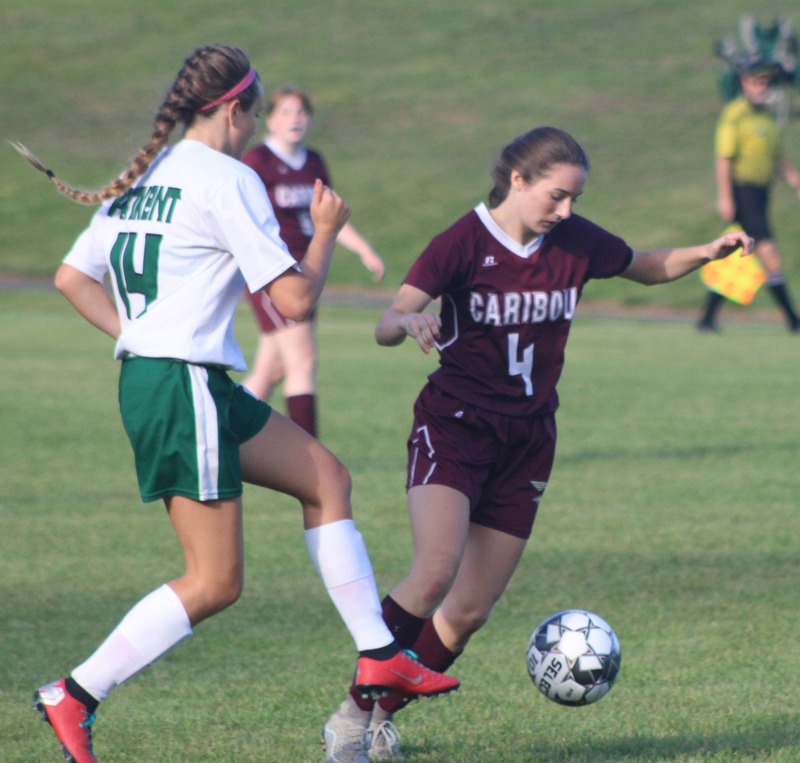 The Caribou and Presque Isle teams battled Fort Kent and last Tuesday at Caribou High School, the Viking girls tied the Warriors and the Fort Kent boys managed a hard-fought 1-0 win. Two nights later, in Fort Kent, the PI girls won by a 4-1 margin, while the boys played to a scoreless draw. On Saturday, the Caribou boys scored four unanswered goals to defeat Brewer, 5-2. The girls fought back from a 6-2 deficit by scoring three times in the late going and just falling short against the Witches, 6-5. The Wildcat girls and boys swept Maine Central Institute in Pittsfield, with Madison Michaud scoring four times in a 5-1 triumph and the PI boys notching a 2-1 win. 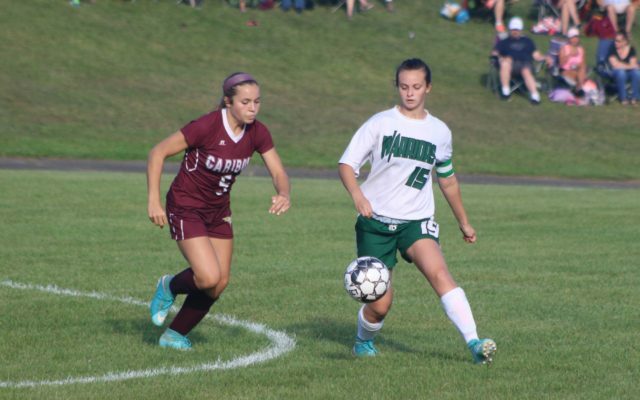 Claiming their first victories of the season were the Easton girls, by a 1-0 margin over Washburn Monday; the Hodgdon girls, 5-1 over Woodland Friday’ and the Washburn boys, who blanked Katahdin last Wednesday, 2-0. Caribou girls 1, Fort Kent 1 — Viking goal: Edie Shea. Assist: Emily Adler. Wisdom girls 2, Easton 2 — Bears goals: Lydia Ferris, Matigan Dow. Houlton girls 5, Mattanawcook 1 — Shiretowners’ goals: Olivia Henderson 2, Sierra Hoops, Bre Barton, Rebecca Howe. Assists: Abby Worthley, Sam Johnson. Goalies: Tessa Solomon and Kennedy Buzzeo (Houlton) 2 saves. Central Aroostook girls 8, Madawaska 4 — Panther goals: Kate Levesque 5, Brea Bradbury 2, Liberty Fulton. Assists: Fulton, Olivia Pelletier, Kayla Martin. Goalie: Olivia Blackstone (CA). Southern Aroostook girls 2, Ashland 1 — Warriors’ goals: Jordyn Legassey and Emily Skinner. Assist: Makaelyn Porter. Hornet goal: Shelby Stolze. Goalies: Sydney Brewer (SA) 9 saves; Valerie Burby (Ashland) 3 saves. Caribou’s Amber Moir, left, shields off Fort Kent’s Gabby Martin during the Tuesday, Sept. 4 match played in Caribou. The teams played to a 1-1 draw. Katahdin girls 5, Washburn 3 — Cougars’ goals: Erin Lake 4, Emily Beyer. Beaver goals: Kassie Farley 2, Madison Miller. Goalies: Nikita Keim (Katahdin) 5 saves, Trinity Saucier (Washburn) 32 saves. Fort Fairfield girls 5, Van Buren 0 — Tiger goals: Camryn Ala 2, Kourtney West 2, Kira Rogers. Assists: Brenna LeVasseur, Sarah McShea, Ala. Goalie: Shantelle Simon. Presque Isle girls 4, Fort Kent 1 — Wildcat goals: Madison Michaud 2, Clara Kohlbacher, Libby Moreau. Assists: Charlotte Carrier, Molly Kingsbury, Michaud. Goalie: Rebecca Rider (PI) 11 saves. Wisdom girls 5, Washburn 2 — Beaver goals: Kyli Farley, Kassie Farley. Goalie: Trinity Saucier (Washburn) 28 saves. Central Aroostook girls 4, Easton 0 — Panther goals: Kate Levesque 2, Kayla Martin and Brea Bradbury. Assists: Bradbury 2. Goalies: Olivia Blackstone (CA) 1 save; Eva Callioras (Easton) 13 saves. Hodgdon girls girls 5, Woodland 1 — Hawks’ goals: Mikyla Howard 3, Sabra Scott, Emma Drew. Assist: Drew. Goalie: Autumn Ganzel (Hodgdon) 10 saves. Houlton girls 8, Calais 1 — Shiretowners’ goals: Jamie Brown 3, Sam Johnson 2, Bre Barton, Sierra Hoops, Eden Davis. Multiple assists: Bre Barton 2. Goalie: Tessa Solomon (Houlton) 3 saves. Katahdin girls 4, MSSM 0 — Cougars’ goals: Erin Lake 2, Emily Beyer, Emma McNally. Goalie: Autumn McGraw (Katahdin) 4 saves; MSSM no goalie info. Brewer girls 6, Caribou 5 — Viking goals: Emily Adler, Gabby Sutherland, Edie Shea, Taylor Devoe, Lexi Rodriguez. Assists: Rodriguez. Goalie: Sage Dubay (Caribou) 6 saves. Presque Isle girls 5, MCI 1 — Wildcat goals: Madison Michaud 5. Goalie: Rebecca Rider (PI) 6 saves. Southern Aroostook girls 2, Shead 1 — Warriors’ goals: Aliyah Morales, Jordyn Legassey. Assists: Kylie Vining 2. Goalie: Sydney Brewer (SA). Easton girls 1, Washburn 0 — Bears’ goal: Lydia Ferris. Goalies: Eva Callioras (Easton) and Trinity Saucier (Washburn). Houlton boys 11, Mattanawcook 0 — At Lincoln Sept. 5, Houlton rolled to the lopsided victory scoring 11 times against the Lynx. Individual results were not reported. Fort Kent boys 1, Caribou 0 — Goalie: Noah Hixon (Caribou) 2 saves. Easton boys 3, Wisdom 1 — Bears goals: Kooper Kinney 2, Isaac Currier. Goalie: Kody Carter (Easton) 3 saves. Central Aroostook boys 4, Madawaska 0 — Panther goals: Hunter Wardwell 2, Hayden Kingsbury 2. Assists: Wardwell, Ben Thomas, Bryan Anthony. Goalie: Brayden Bradbury (CA) 5 saves. Washburn boys 2, Katahdin 0 — Beaver goals: Jovanni Taveras, Angel Taveras. Assist: Noah White. Goalies: Beckam Vaughn (Washburn), Caleb Giles (Katahdin). Fort Fairfield boys 2, Van Buren 1 — Tiger goals: Alex Oakes and Isaiah Milliard. Ashland boys 12, Southern Aroostook 1 — Hornets goals: Dylan Haley 3, Josh Clark 2, Reece Deabay, Sam Craig, Weston Robinson, Joshua Celeste, Daniel Wortman, Lukas Deabay and Gabriel Page. Warriors’ goal: Gavin Vining. Goalies: Garrett Tilley (Ashland) 2 saves; Jacob Brooks and Parker Skinner (SA) 20 saves. Presque Isle boys 0, Fort Kent 0 — Mason Young (PI) 15 saves. Wisdom boys 5, Washburn 3 — Beaver goals: Angel Taveras 3. Central Aroostook boys 4, Easton 0 — Panther goals: Hunter Wardwell, Bryan Anthony, Ben Thomas, Jacob Carvell. Assists: Thomas, Wardwell, Anthony. Goalies: Brayden Bradbury (CA) 4 saves; Kody Carter (Easton) 6 saves. Houlton boys 12, Calais 2 — Shiretowner goals: Jaron Gentle 2, Nolan Porter 2, Alex Wilde 2, Ben Grant 2, Cameron Cram 2, Jadon Gentle, Keegan Gentle. Multiple assists: Keegan Gentle 3, Ben Grant 3. Goalie: Drew Foley (Houlton) 1 save. Woodland boys 3, Hodgdon 1 — Hawks’ goal: Josh Foster. Goalie: Michael Saunders (Hodgdon) 15 saves. Katahdin boys 1, MSSM 0 — Cougars’ goal: Wesley Richardson. Goalies: Caleb Giles (Katahdin) 21 saves, Colin Whitney (MSSM) 11 saves. Caribou boys 5, Brewer 2 — Viking goals: Alex Ezzy 2, Cullin Caverhill, Tommy Pinette, Austin Findlen; assists Ezzy 2, Theo Strid, Ethan Holdsworth. Goalie: Noah Hixon (Caribou) 5 saves. Presque Isle boys 2, MCI 1 — Wildcat goals: Colby Carlisle 2. Goalie: Mason Young (PI) 5 saves. Shead boys 3, Southern Aroostook 1 — Warriors’ goal: Gavin Vining. Assist: Buddy Porter. Goalie: Jacob Brooks (SA) 9 saves. Easton boys 2, Washburn 1 (OT) — Bears’ goals: Seth Faloon, Alex Harvath. Assist: Kooper Kinney. Beavers’ goal: Angel Taveras. Assist: Shane Scott. Goalies: Kody Carter (Easton) 3 saves and Beckham Vaughn (Washburn) 11 saves. Houlton boys 3, Orono 2 — Shiretowners’ goal: Nolan Porter, Jaron Gentle, Keegan Gentle. Assists: Keegan Gentle and Porter. Goalie: Drew Foley (Houlton) 2 saves.